2019 is an Animal Year early for the one and only Jacob Berendes. 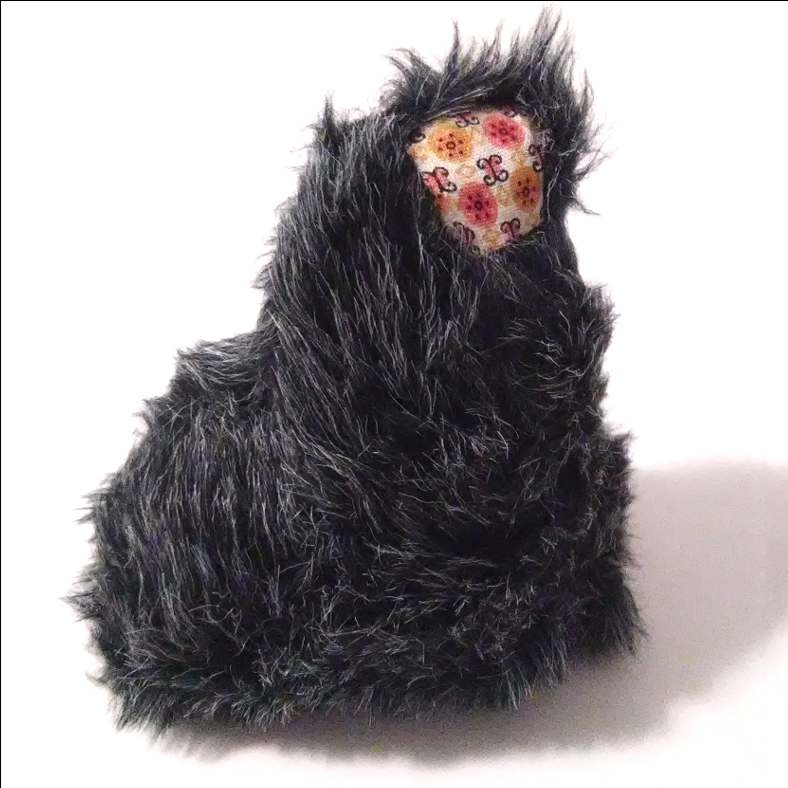 The former Editor-In-Chief of Mothers News, former Worcester junk shop proprietor, self styled troubadour, serious artiste, etc., etc., is opening a month long installation of the create-a-stuffed-animal-a-day-for-a-year-project he undertook some years ago this wednesday down in Providence. Check it out (info below). He is a New England treasure and he was kind enough to respond to a few of my squirrelly questions. 1. When did you make your first stuffed animal? I probably made one before this project started, but the first one in this set was on September 23, 2004. 2. Tell me your most important stuffed animal relationship. 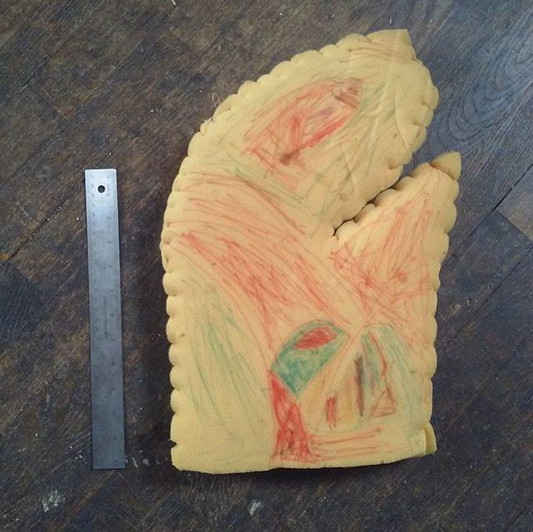 When I was 5 or 6 I asked my mom (who is great at sewing) to make me a huge claw, like a crab’s, that I could wear around. She had some excess foam laying around from an upholstery project so it was pretty easy for her to whip it up pretty quickly. I drew a psychedelic face on the claw and wore it around for a while, though it was far to big to use in a practical fashion. If I remember correctly, my objective wasn’t so much to have a claw as to have a face and teeth for my hand to wear. I can’t say whether or not the claw had its own personality. I mean it had a personality but it was still my claw. Of course I still have it. 3. What do you think of the Muppets? I love the Muppets! Growing up watching the Muppets solidified in my mind that you could have friends that are as close as family, that you can honor each others’ differences and strengths, and that you can all live in a crazy house together, go on road trips together, and to a lesser extent, lose your personality in Manhattan and have to be rescued. The TV show and the first three movies are beautiful, perfect, inspiring. The movies made after Jim Henson passed away are nice but not as good, except for Muppets In Space, which is terrible. 4. 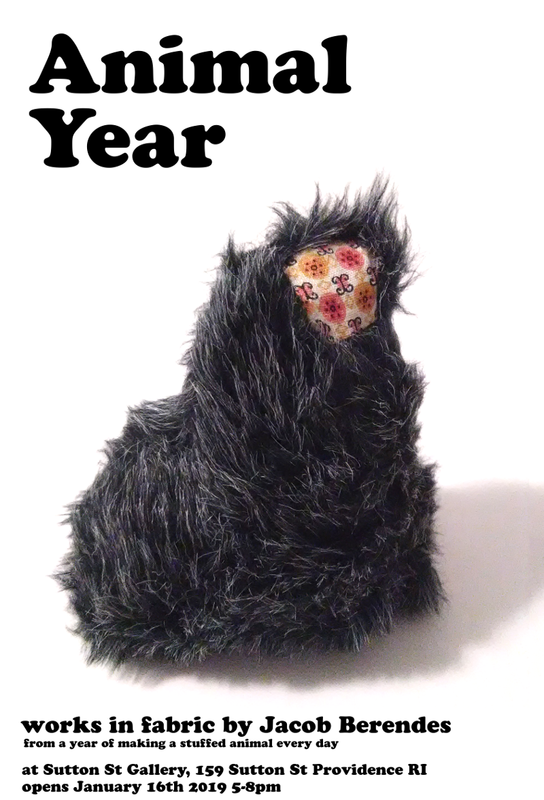 How did you come to making a stuffed animal every day for a year? At the time I had just received a tape from Lazy Magnet entitled “365 Days Of The Blues”, which is selections of a year he spent writing a song every day. The feeling I got was that he was a fun songwriter at the beginning of the year and a great and fearless songwriter at the end, although in between there’s a lot of bizarre territory. I guess I just wanted to see what would happen? Or I wanted to experience that sort of discipline. It was never really about sewing but about pushing myself to be consistently creative, even when I didn’t feel like it. I recommend this sort of rigorous daily project to any artist at any level. 5. I think you’re a great wonderful and inventive human. What’s next Jacob? “Coffee club” in this context means the artist will be there serving coffee and snacks at donation pricing, and there will be tables and chairs if you want to bring something to do, as you would at a coffee shop, or you can just hang out, or you can treat it like a regular gallery.